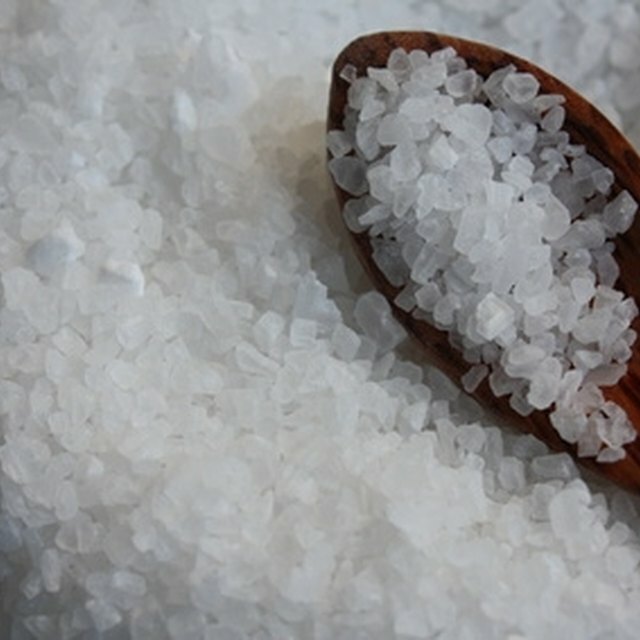 Magnesium Chloride is an inorganic salt, which has the chemical formula of MgCl2 and molecular weight 95.210 g/mol. Predominantly magnesium chloride exists as various hydrates, particularly hexahydrate MgCl2 *6H2O having the molecular weight of 203.301 g/mol. Magnesium chloride hexahydrate occurs as a natural mineral Bischofite named after a german geologist Karl Gustav Bischo. The prefered synthetic method of preparation of anhydrous magnesium chloride is the reaction of mercury(II) chloride and magnesium: Mg + HgCl2 = MgCl2 + Hg. Magnesium Chloride is a colorless crystalline compound. The salt is very hygroscopic. It has density of 2.325 g/cm3 (anhydrous), 1.56 g/cm3 (hexahydrate) and a high melting point of 987 K. Magnesium chloride hexahydrate is only stable below 373 K and decomposes at 391 K. The compound well dissolves in water with solubility of 35.5g per 100g H2O at 298 K. Dissolving MgCl2 is an exothermic process. Magnesium chloride is efficient as a de-acing agent due to the exothermic nature of its interactions with water. MgCl2 solution is sprayed on pavement to prevent ice from building up and adhering to the roadway in winter. It causes less damage to concrete and is less corrosive to metals than other de-acing compounds. Also magnesium chloride is used in fire extinguishers, in ceramics and in production of fireproofing wood. This compound plays an essential role as a cofactor in polymerase chain reaction (PCR), which is the fundamental technique in molecular biology. Magnesium cations Mg2+ play an important role in many cellular functions particularly as cofactors in enzymatic reactions. Magnesium is essential for normal cardiovascular and muscular activity. Doctors prescribe magnesium salts as prophylactic and clinical treatment. In September 2005, J. Durlach and co-authors demonstrated that magnesium chloride has considerably better pharmacological properties including its absorption and cell membrane penetration, and also possesses less cell toxicity than commonly used magnesium sulfate. If inhaled or swallowed in large doses magnesium chloride may be harmful. Ingestion of this salt causes nausea, vomiting and abdominal discomfort when magnesium serum concentration is above 3.5 mg/dL. The massive doses especially intravenously administrated, which are characterized by the magnesium serum concentration of 8-12 mg/dL, may result in more serious symptoms including hypotension, muscle weakness, a loss of reflexes. Higher doses of the salt will lead to muscle paralysis, respiratory arrest, coma. Handbook of Inorganic Compounds, edited by D.L. Perry and S.L. Phillips, CRC press, 1995. General Chemistry, H.F. Holtzclaw, W.R. Robinson, J.D. Odom, Heath and Co, 1991. “Magnesium chloride or magnesium sulfate: a genuine question”, J. Durlach, A. Guiet-Bara, N. Pagès, P. Bac, M. Bara, Magnesium Research, Vol. 18, pp. 187-92, Sep 2005. What Materials Will Make an Ice Cube Melt Faster? Contributor. " Properties of Magnesium Chloride." Sciencing, https://sciencing.com/properties-magnesium-chloride-5063749.html. 24 April 2017.